Ottawa city councillors will debate granting $60 million taxpayer dollars to a local developer next week, which would be the largest grant the city has ever given for a cleanup project. Ottawa city councillors will debate granting $60 million in taxpayer funding to a local developer next week, which would be the largest grant the city has ever given for a cleanup project. 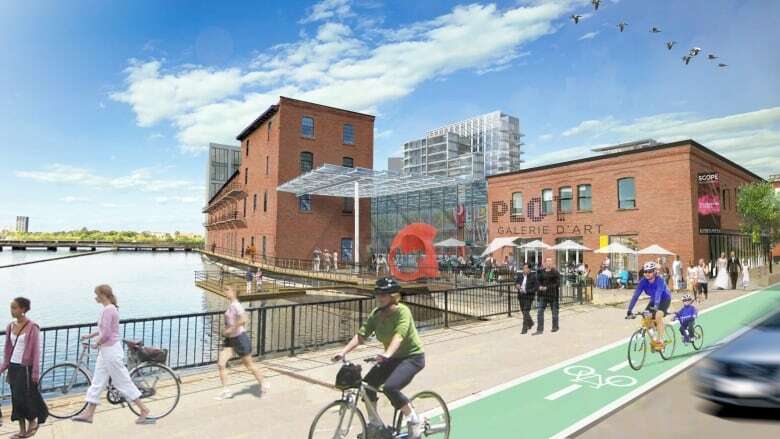 Windmill Developments applied for the grant for its mixed-use Zibi project on Chaudière and Albert islands. Cleaning up the site will require demolishing several buildings and cleaning the soil. The city's brownfields redevelopment program awards funds to developers for cleaning up contaminated sites and deteriorating buildings, which helps encourage developers to build in the core rather than the suburbs. In a report going to the finance and economic development committee, city staff said the site is a good choice for redevelopment and the city should grant the funds. "The site is a derelict industrial property in a prime downtown location," they wrote. "The proposed development in the heart of the City of Ottawa and spanning across two provinces will be a significant investment by the developer." The site has been used for a variety of industrial uses going back more than a century, and the city report said 250,000 metric tonnes of contaminated soil will have to be removed. Its deteriorating buildings also contain asbestos, lead and other materials that need to be properly dealt with. More funding requests could be made in the future for two other buildings on the site that Windmill might tackle in future stages of the development. The city pays for the grants through higher property taxes on redeveloped brownfields, and it's estimated that the Zibi development will bring in an extra $18 million per year in municipal and education property taxes, compared to the vacant land. About $20 million of the $60-million grant would come from waived development charges and fees. The grant is on the agenda for Tuesday's committee meeting.